Lena, Chloe and I went to Port Douglas in July for a holiday and to visit our friends Doug and Wendy who now live and work there. 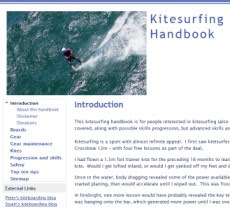 Doug took the kitesurfing shots. 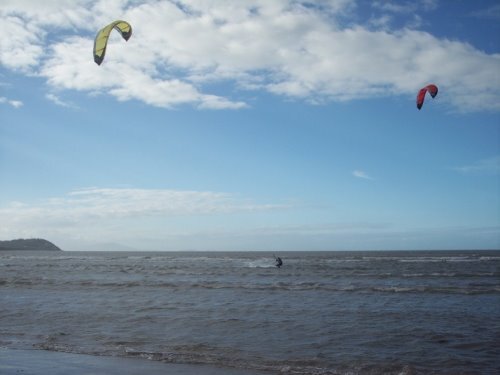 I am glad I took my kitesurfing gear - the kitesurfing was sensational. 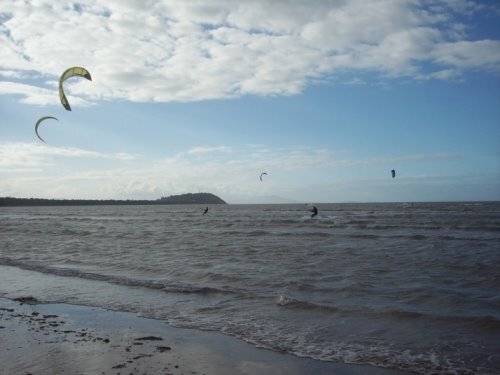 The south end of 4 Mile Beach is the place to go, at Helmet St. 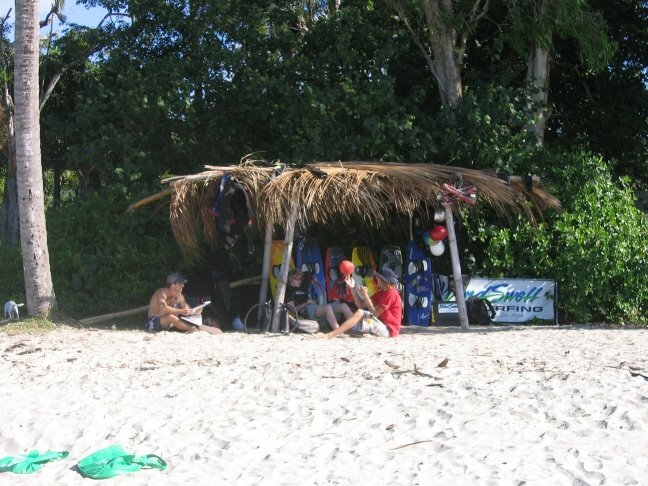 There is a small coconut palm shelter where Brett Wright operates the Windswell Kite Surfing School. Brett was a great source of local information. The beach is wide and good for launching. There is a reef just to the South which protects the water from chop. 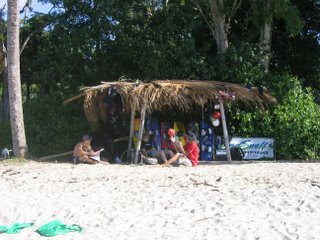 A Southerly was blowing at 15-20 knots - the Winter trade winds. I wore my 1mm wetsuit as it was overcast and not very warm. On the tack out (to my right) I was having some trouble generating enough power - the board would stall. Coming back in (to my left), I was going really well with heaps of speed. I went out and back about 4 to 5 times, then walked back along the beach. 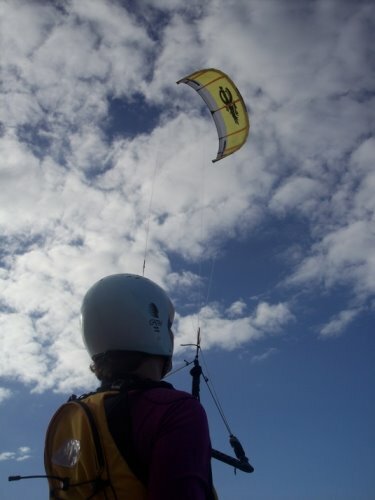 Eventually, I got going better to the right as I stopped the kite going to the edge of the wind window by not oversheeting the control bar. Great to be kitesurfing again. It has been too long between outings.